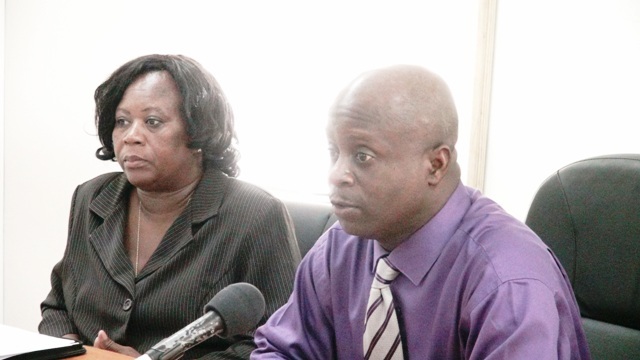 NIA CHARLESTOWN NEVIS (October 23, 2015) — Permanent Secretary (PS) in the Premier’s Ministry Wakely Daniel, added his voice to the important role of immigration officers and the critical role they play in the island’s security. 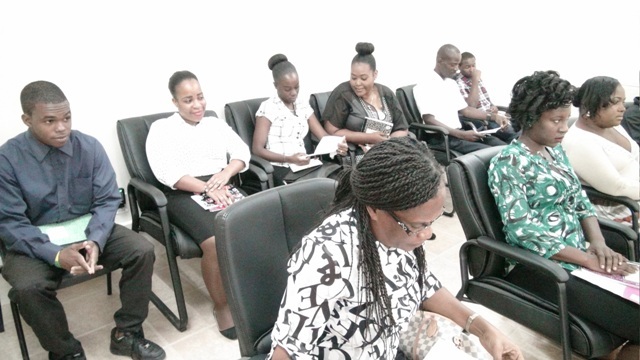 He was at the time delivering remarks at a brief opening ceremony of a two-day workshop for Immigration Officers on Nevis on October 21, 2015 at the Cotton Ground Police Station. The training exercise was hosted by the Department of National Security in St. Kitts in collaboration with the Premier’s Ministry in the Nevis Island Administration (NIA). Was designed to expose the officers to the fundamentals of fraud and imposter detection, improve the officers’ knowledge and understanding where processing of passengers was concerned, emphasise the critical role immigration is required to play in securing regional boarders and to clarify the role of an immigration officer with regards to national security. “You are the first impression that someone gets of Nevis and as the saying goes, you only get to make a first impression once. You have the power in your hands to make or break a traveller’s impression of Nevis, of St. Kitts, the Federation and of the people of the Federation. “You have the power in your hands to make or break whether they have a great time in the Federation or you put a damper on their stay here with us,” Daniel told the Officers. “Your job is a critical job, a very important job. Do not take it lightly, do not take it lightly please,” he urged. There is a treaty of what you call Free Movement in the Caribbean Community (CARICOM) and of course in the Organisation of East Caribbean States (OECS) and we have to adhere to those treaties.